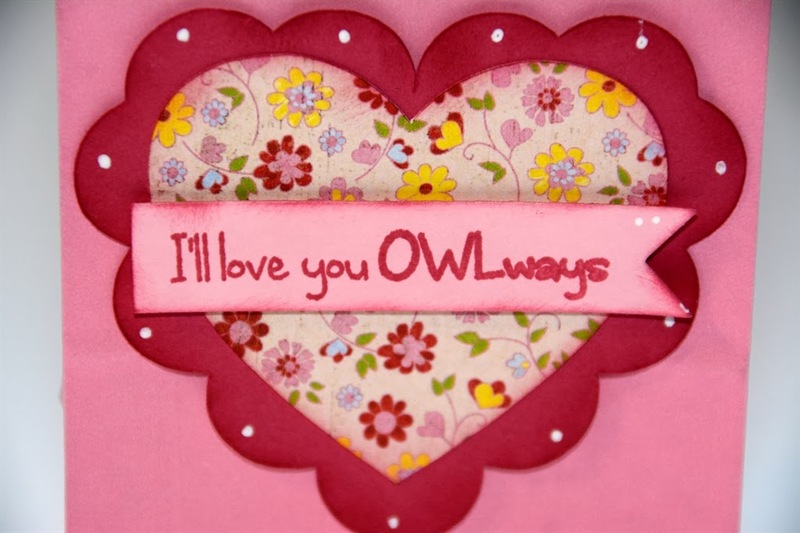 Hi everyone, this is Gwen from This and That by Gwen with a quick and easy Valentine project for you. I really love the papers for Valentine's Day, they are just so fun and pretty and PINK!! This cute little tea cup is from the Silhouette Store, it is by LW. The pretty white ribbon is Snow White Crinkle Ribbon from My Craft Spot tied in a double bow. The sentiment is from the Banner Sentiment stamp set and cut out with the Ribbon Banners - Straight Metal Dies, also from My Craft Spot. DT Post by Sherrie - "Be Mine"
This is Sherrie from Sherrie Scraps with Passion and I have a quick Valentine card to share with you using My Craft Spot's Build a Valentine stamp set. 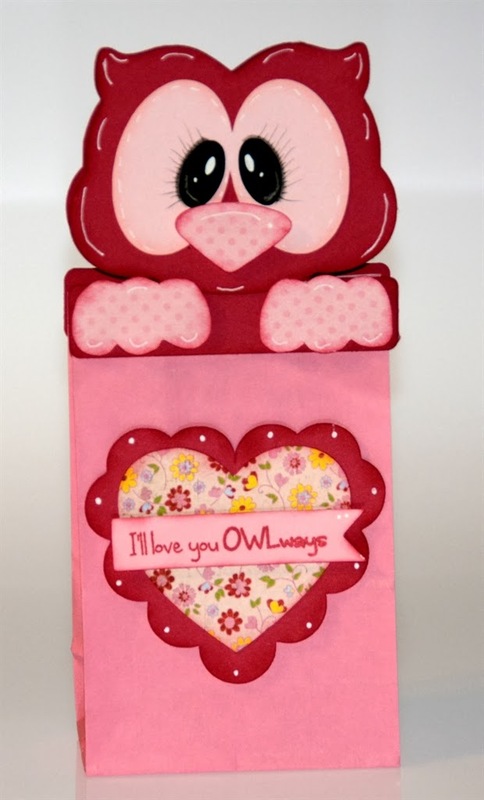 Another awesome set for your Valentine cards, layouts and/or treats. The heart was cut at 2 1/4 from the Sweethearts cartridge and another one cut at 1 1/4 with Kraft paper. I embossed the red heart with the script folder and the smaller heart ran it through the crimper for fun texture. I also cut smaller hearts at 3/4", crimped them and layered them on the banners. I hope you enjoyed my card today! 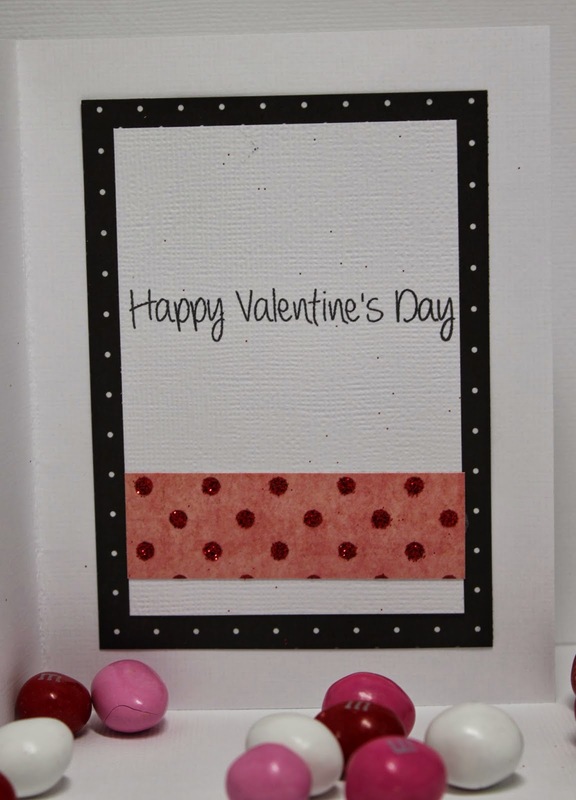 If you would like to see about this card, please visit my blog at Sherrie Scraps with Passion. Winners from Challenge #123 - It's a sketch! DT Post by Heather - Stenciling Technique! And some gold sequins from the Metallic blend. If you want to learn more about this card, you can read more about the stencil technique I used over on my blog. Sorry for the pictures on this one! I really struggled to get a true to life picture of the color - who knew that shade of green would be so difficult to photograph? DT Post by Ally - Get Whale Soon! Hello! Ally here from Rock Paper Cricut. One of my favorite tools to play with are the new Fancy Edges metal dies set. I do love them all, but for today's card I used the scalloped edge metal die--turned upside down it looks likes water waves. Look at all of those awesome waves. :) The waves were cut with the Fancy Edges metal dies set. *Get Whale Soon! * is from the Tiny Tags 3 stamp set. Of course I had to add some Caribbean sequins to finish my card. The tag was cut with the Tiny Tags metal dies set. I tied my tag on with some Berry Red bakers twine. Monday Challenge #124 - Polka Dots! Kate's little monster is absolutely adorable! 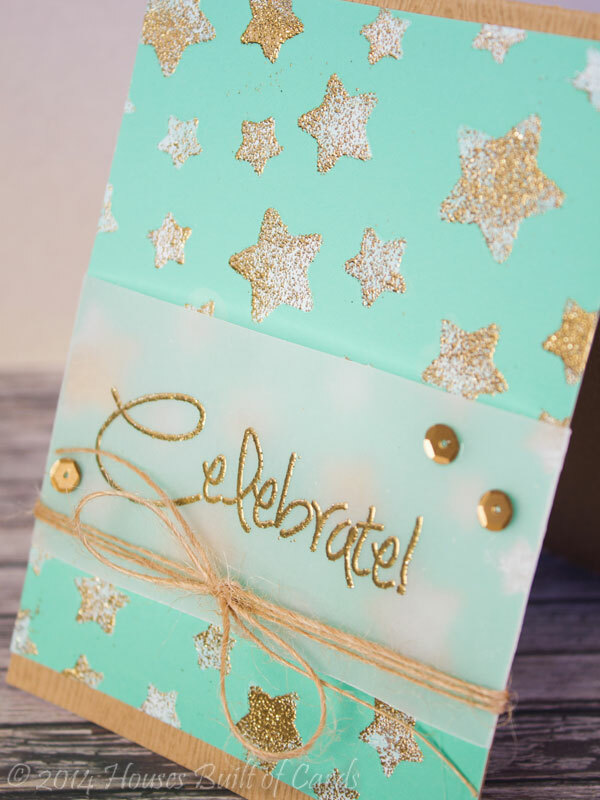 I love her embossed polka dot background too! What a fun card! Sherrie's Baby Romper cards are sooooo cute!! I love shape cards, and these are awesome! Her brads really add a lot! Gwen's Valentine card is gorgeous! I love how she put the 2 polka dot papers together - very pretty! In need of more inspiration?! Click HERE to visit our Gallery with over 1000 projects arranged by stamp and metal die set! You can even search by Holiday, project type, or products used. So much inspiration all in one place!! DT Post by Tanya - Cute Storage Box for Cards! Hello everyone and welcome to My Craft Spot! I started with this cute storage box from Lori Whitlock. After cutting out and assembling my box, I pulled out a few My Craft Spot goodies and had some fun! Using some bright, colorful, tiny prints I created this darling banner using the Tiny Banners & Toppers Die Set. I added some clear gems to the topper portion of each banner for a bit of sparkle! 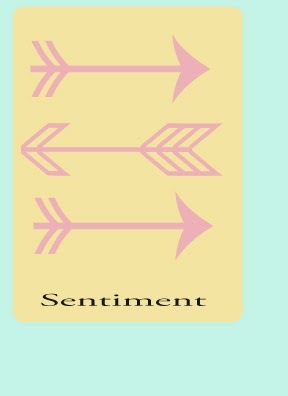 My sentiment mat is from the Silhouette Online Store. 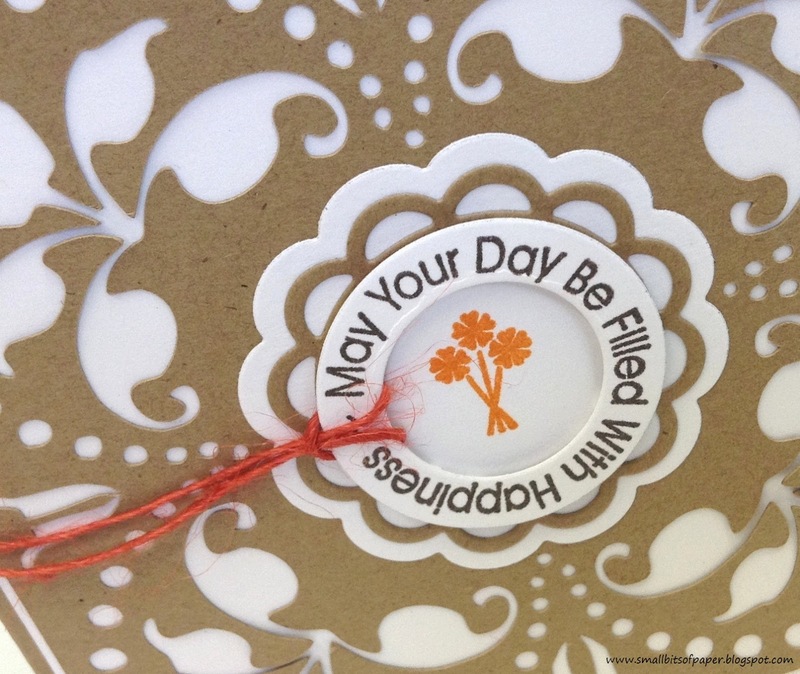 I used the Big Sentiments Stamp Set to designate this storage box for birthday cards. I just love the pretty font on this beautiful stamp set! I really love the way this turned out and plan on creating additional boxes for other cards as well....Baby, Get Well, Thinking of You and the list goes on and on! Before I go, I just want to thank you for joining us here today at My Craft Spot. I hope you enjoyed my cute little card holder and I look forward to sharing another project with you very soon! Guest Designer - Deb Rodgerson! I'm so excited and honored to be the guest designer at My Craft Spot today! 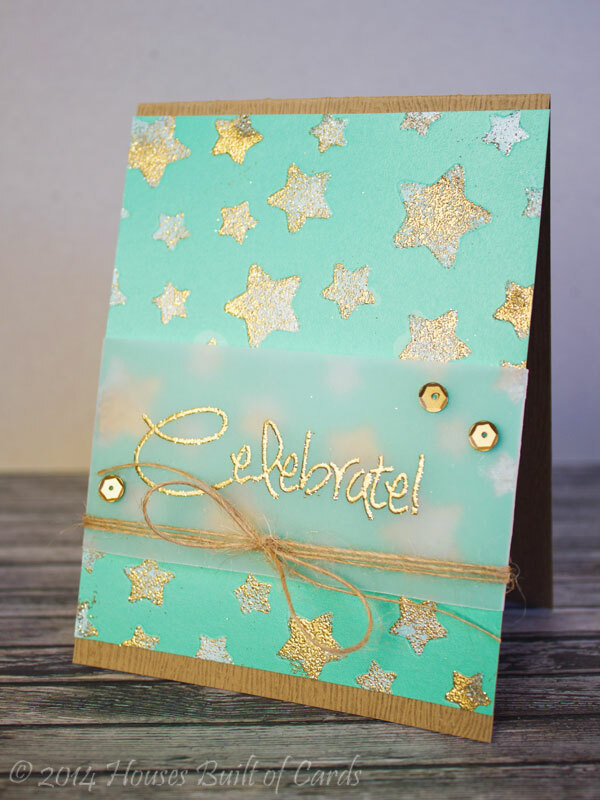 Kimberly has some super adorable stamp sets, dies and embellishments in her store! The DT at My Craft Spot have some amazing talent and I am always so excited to see their projects!!! I am so greatful that Kimberly has given me this opportunity! Now, I can't wait to show you what I made. I am using the Cute Critters stamp set for all my projects today! There are so many fantastic sentiments in this set that I couldn't make just one project...so I made three!! I'm so excited to share them with you!!! 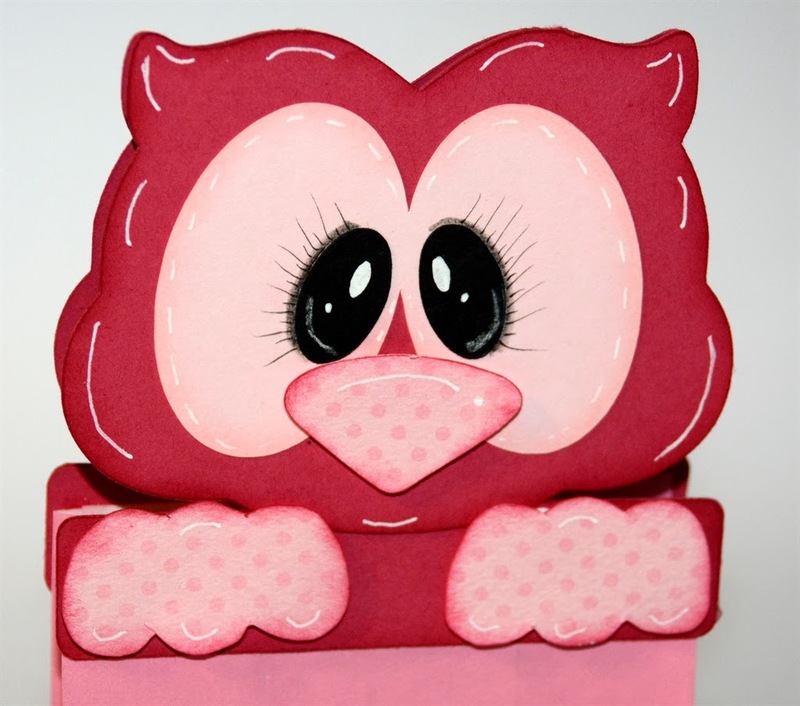 For my first project I made this cute Owl Treat topper from the Baggy Buddies (Easter) file from Treasure Box Designs! The Stamp sentiment is from Cute Critters and the flag die is from Ribbon Banner Dies. . 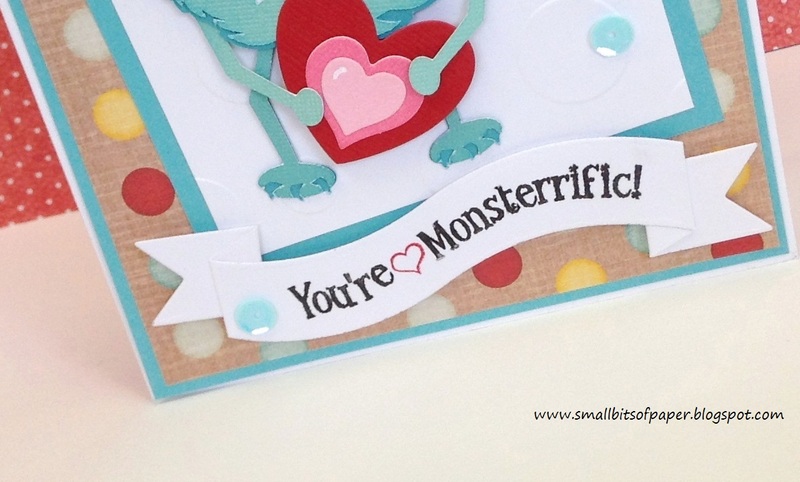 The layered heart die is from the Silhouette online store. For my second project I used the Cute Critters stamp set and the larger banner die from Ribbon Banner dies. 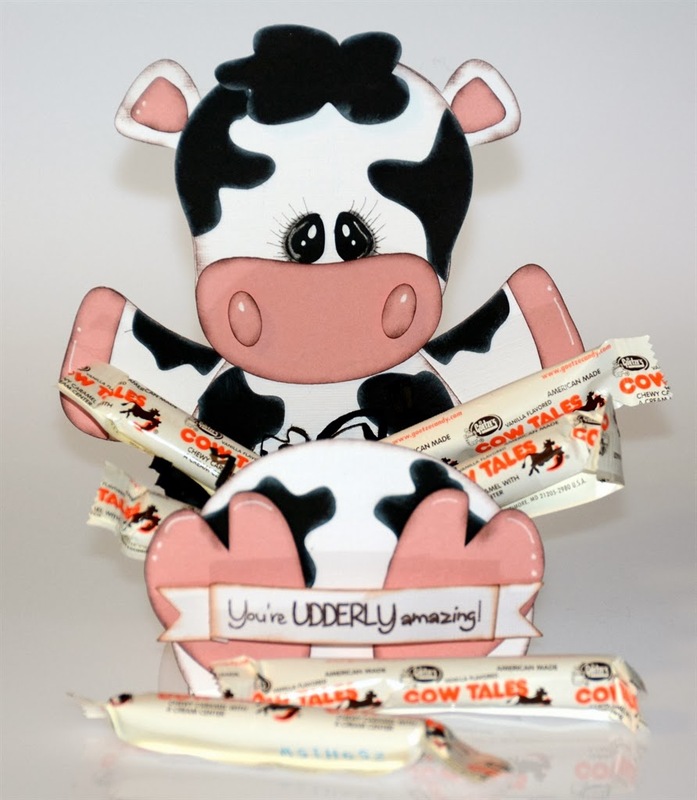 The Cute Cow box is from My Scrap Chicks Cow Trio file. For my third and final project I made a card using the Cute Critters stamp set and the flag die from the Ribbon banner dies. 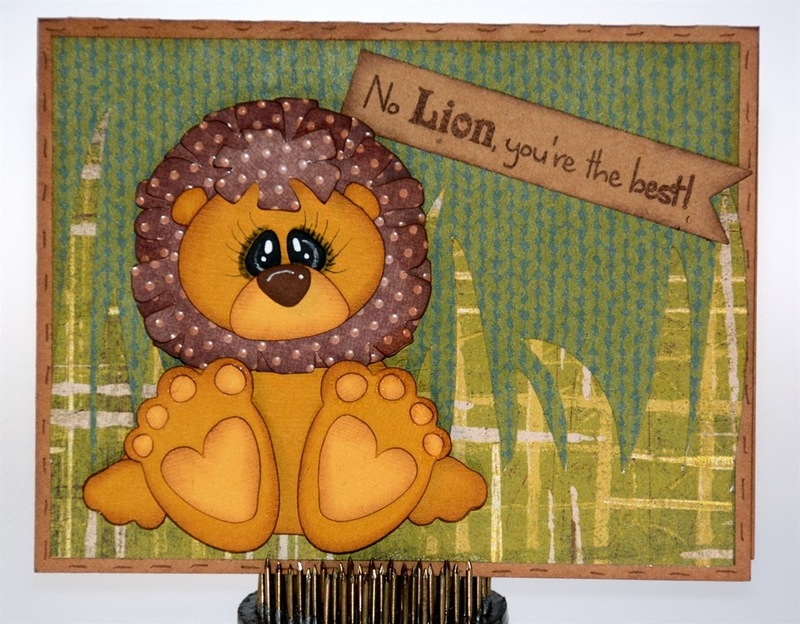 The Lion card is from the Lion Trio file at My Scrap Chick. I hope you have enjoyed all my projects today. I had a blast making them and I have so many more ideas for this stamp set!!! And now I have some fantastic news!!!! I get to give away a PRIZE to one Lucky Winner! Yay!! To win, all you need to do is leave me a comment on this Blog post letting me know know which My Craft Spot stamp set is your favorite. We'll do a random drawing & the winner will get the stamp set of their choice! Thanks so much for Kimberly for doing this for one of my blog readers!!!! DT Post by Sherrie - Birthday Hearts! This is Sherrie from Sherrie Scraps with Passion to share a birthday card that I made using the Banner Sentiments stamp set. Here is my DT project! I cut a white and black panel, rounded the corners and adhered it to the card base. At the bottom of the panel I layered a cute border using the Fancy Edges metal die. I cut the hearts from the Heart Border metal dies and layered the smaller hearts with foam tape for dimension. I stamped a cute PK face on the center heart using the PK Sweet On You Face Asst stamp set. I added glossy accents and a white gel pen for the eyes for a fun look. DT Post by Kate - Lacy Card Set! Welcome to My Craft Spot! I'm Kate from Small Bits of Paper and I'm thrilled to be sharing a quick (but pretty!) project with you today. 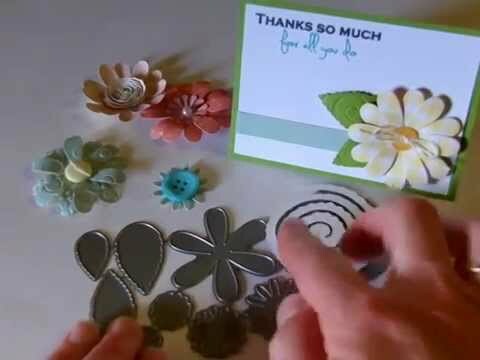 I used a free multipurpose cut file created by Pam at Get Silvered for the beautiful backdrop of my card and rounded things off with some fantastic products available at the My Craft Spot Shop! My cards are all 4.25x4.25. I kept them this size in order to fit them in standard envelopes for mailing. After letting Pam's file and my Silhouette do all the work for the pretty background, I used My Craft Spot's Tiny Doilies metal dies for the centres. The sentiment is from Stamping All Around Spring (the first set) - as is the sweet little floral bouquet stamped in the middle of each. I finished things off with some fabulous Bittersweet jute string. 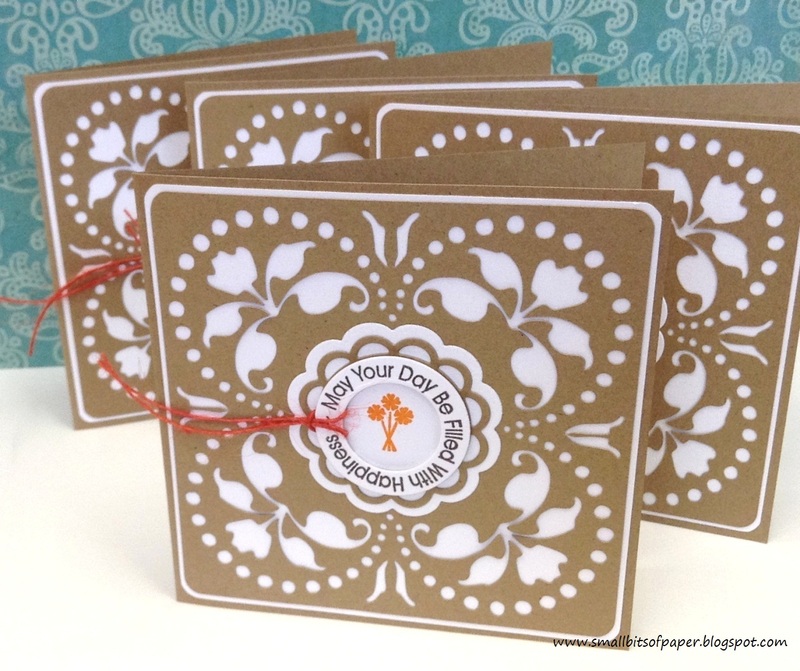 I'm so pleased with how quick and easy these cards came together - and with such a pretty look! 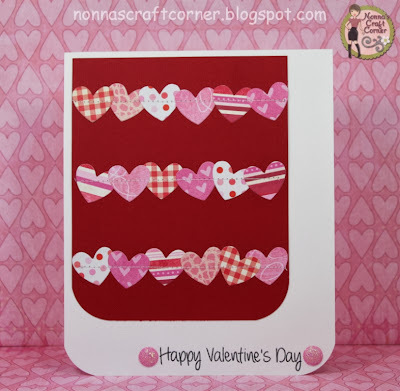 DT Post by Ally - Vintage Valentine! Hi everyone, it's Ally from Rock Paper Cricut. 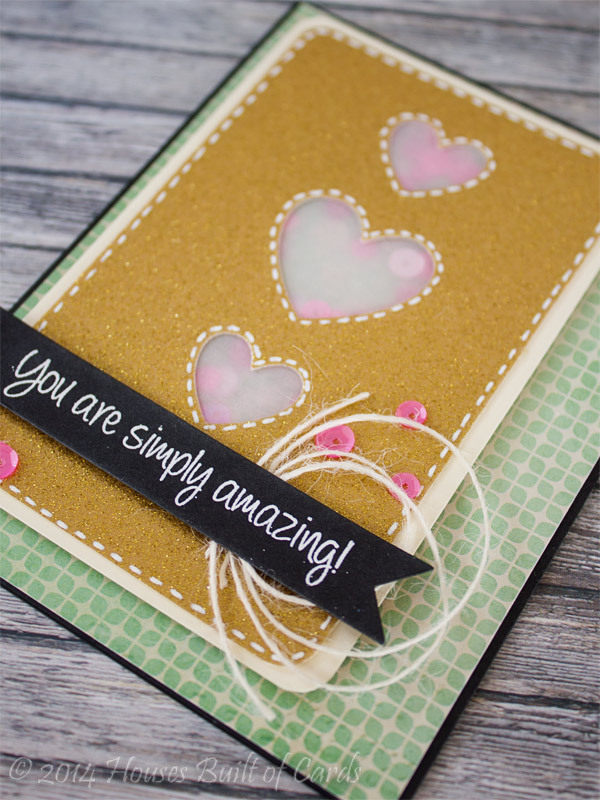 I am so excited to to be able to share a card I made using the new Heart Border metal dies set. This new set has a total of 9 different metal dies, and coordinates with stamps from the Jar Full Of Spring stamp set. 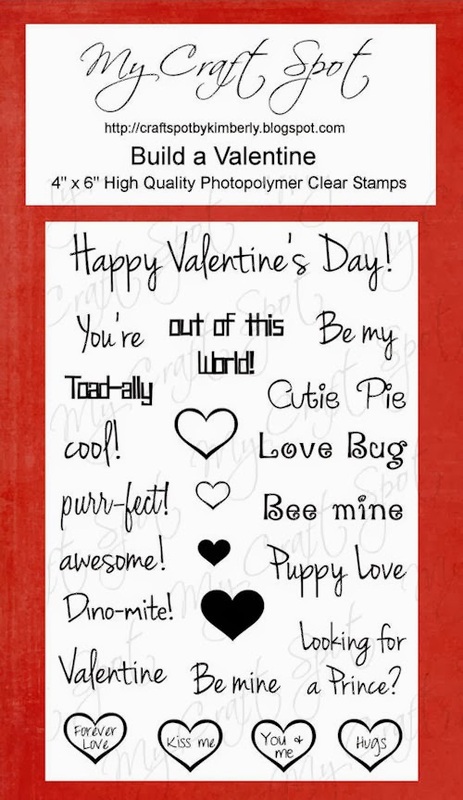 I stamped the *Be my Valentine* from the new Banner Sentiments stamp set. Under the sentiment I used a *flourish* stamp from the Tickets stamp set. For the *postage* I used the Postage Stamps stamp set. Cupid is from the Sweethearts Cricut cartridge, found on page 33. Here is a picture of the beautiful border from the new Heart Border metal dies set. I love how it fits perfectly on my A2 sized card. Monday Challenge #123 - It's a sketch! Hello, my crafty friends! With the holidays and then the new stamp and metal dies being released, it has been a whole month since we had a new challenge. Time flies . . . Heather created this fun sketch for us to use for the first challenge of the new year! This week's challenge: It's a sketch! Tanya's card is so pretty! I love the stitching through her lines of hearts! I love all of the faux stitching on Heather's card and her Jute looks great behind her sentiment! Love the sequins too! Ally's card is soooo cute! 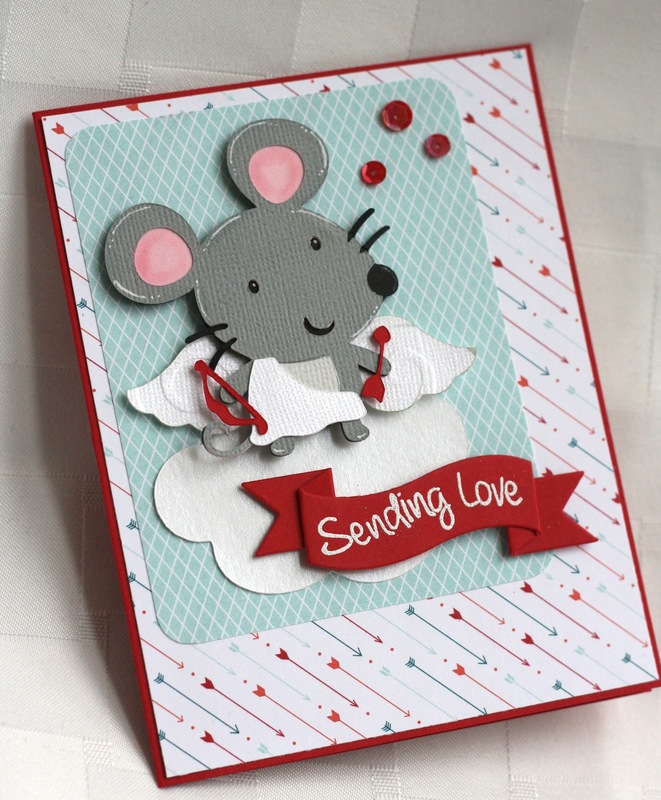 I love her sweet mouse and her white on red sentiment banner! Guest Designer - Shannon White! Guest Designer - Linda Kaiser! DT Post by Ally - Cocoa kits! DT Post by Sherrie - Valentine Treats! 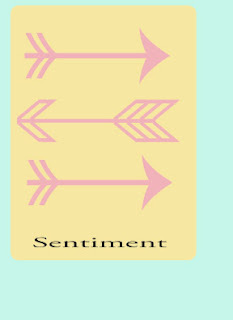 Sneak Peek Day #5 - Big Sentiments! Sneak Peek Day #4 - Stamping All Around Spring 2! Sneak Peek Day #2 - Jar Full of Spring! Sneak Peek Day #1 - Chalkboard Sentiments! Winner from Online Store Opening!! Winners from Challenge #122 - Wrap it up!